No matter how you use the cloud, here is one way to ensure your data is secure. Cloud. You hear it all the time, how every aspect of our personal and professional lives is “moving to the cloud”. Some talk about the cloud as a miraculous solution to an organization’s issues, while others view it with skepticism. Many companies have gone “all-in” with the cloud, while others are just “dipping their toes in the water”. 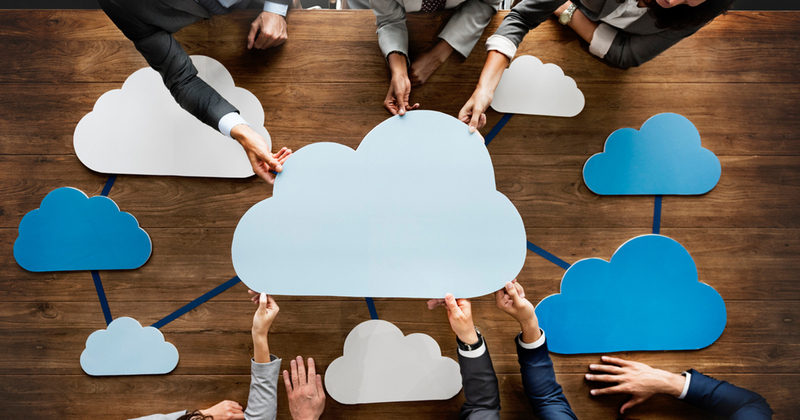 Rarely is an organization completely in the cloud, but most, if not all organizations, are reliant on the cloud in some small way. So, why is everyone talking about the cloud as if it was just invented last year? Likely because some aspects of the cloud are still unfamiliar, and in some cases, a little scary. To understand more, I met with Matthew Bulmer and Jason Dyer, two of Qlik Consulting’s leaders on our Technical Analytical Services team. I wanted to hear what they have seen as some of the biggest challenges facing businesses today who are moving their data analytics to the cloud. They told me that one of the first things to remember is that everyone uses the cloud differently. Being “in the cloud” can mean anything from using a fully cloud-based software solution, developing your own cloud-based solution utilizing an infrastructure or platform as a service provider, or a hybrid approach that uses a combination of cloud-based and on-premise solutions and data. But, by far, one of the biggest concerns facing any company is the security of its data. This concern is amplified in the cloud. Everyone has heard the horror stories of companies being hacked, even celebrities’ personal photographs being made public without their consent. So, companies have to not only protect data housed in the cloud, but if you are using cloud-based software to develop analytics over your data, then access to the analytical platform needs to be just as secure. On the other hand, users expect easy access to their analytics, otherwise they simply won’t make the effort to use them. What is an IT professional to do? Luckily, for true Qlik experts, setting up Qlik and ensuring your data is secure can be confidently addressed in the cloud as it is addressed on-premise. For example, Matt and Jason shared that they have helped numerous customers design and implement Qlik solutions that use the cloud in a wide array of situations. Their teams have helped organizations deploy Qlik on-premise to utilize cloud-based data, such as Salesforce, with a single sign-on architecture. Their teams have also designed and deployed Qlik to cloud-based platforms, such as AWS and Azure (sometimes called “Qlik in the Cloud”), and connected those deployments to both cloud and on-premise data with row and field level security. So, the good news is that they and their teams already have the experience and knowledge to assist customers no matter their particular use of the cloud, and they continue to train and prepare their consultants as the cloud continues to evolve. Lastly, I asked Matt and Jason what they were doing to prepare their teams with the introduction of Qlik Sense Cloud Business, Qlik’s next cloud-based offering. Their answer? Simply, Qlik Sense Cloud simplifies the deployment to the cloud for many clients as there’s no need to install and configure Qlik software. The subscription includes administrator access to things like group workspaces that can be securely managed, and the ability to secure application content so your organization can be confident that the right users are seeing only the data that they should see. Beyond that, the rest of the services typically provided to customers for data integration and analytics presentation development are still available, and generally delivered in much the same way as a solution deployed on-premise or to other cloud-based platforms. So, there you have it. If you are thinking about moving your analytics to the cloud, whatever that means for you, it’s good to know that not only are there people already knowledgeable about what it takes to securely get there, but also that your users will get the most insights from wherever they may be. To learn more on how Qlik Consulting can help you use the cloud to provide insights in your data, please visit qlik.com/consulting.